Both local and remote folders contain identical data. Vert- by default; for Hor+ see Widescreen resolution. Set your resolution in-game (if your resolution is not available, set it manually in AOSystemSettings.ini). 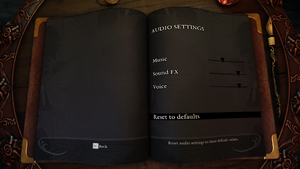 Game uses prompts according to the device that was used first when game is started. Mouse not used in game, excluding mouse buttons. Works for some menus (e.g. 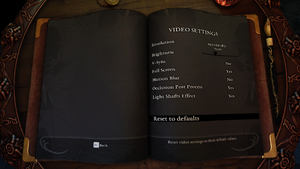 pause menu), but no cursor is shown making navigating with mouse impossible. Either use controller from the very beginning of the game or within multiplayer. 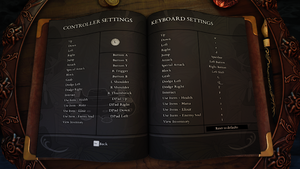 One player can use keyboard and mouse, rest require XInput controller. 2 or 4 players. 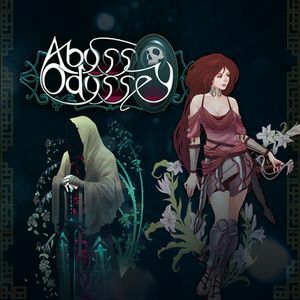 See Helix Mod: Abyss Odyssey. ↑ 1.0 1.1 File/folder structure within this directory reflects the path(s) listed for Windows and/or Steam game data (use Wine regedit to access Windows registry paths). Games with Steam Cloud support may store data in ~/.steam/steam/userdata/<user-id>/255070/ in addition to or instead of this directory. The app ID (255070) may differ in some cases. Treat backslashes as forward slashes. See the glossary page for details. CRC32 hash matches for everything.